Nick Denton on publishing the post: "A decision I regret." Of course minutes after we wrote that Gawker staffers had remained oddly quiet about the Jordan Sargent post that disturbingly outed a married executive, Nick Denton speaks. The end result? The post has been deleted. 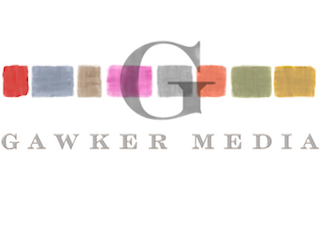 Gawker Media’s managing team (Andrew Gorenstein, Heather Dietrick, Scott Kidder, Erin Pettigrew, Tom Plunkett and Tommy Craggs) voted 4-2 to remove the post. Dietrick and Craggs, the latter of whom edited the post, were the dissenters. Craggs’ vote sounds about right to us. Denton noted that the near universal disgust with the article—from outside Gawker and from within—played a part. Thankfully, hours after publishing a piece that likely threw a man’s life into a tailspin, Gawker found the silver lining for Gawker. We should all be happy. This post originally stated that the vote to take the post down was 5-1 and that Heather Dietrick voted to take the post down. Gawker updated to note that she voted to keep it up; thus making the vote 4-2.